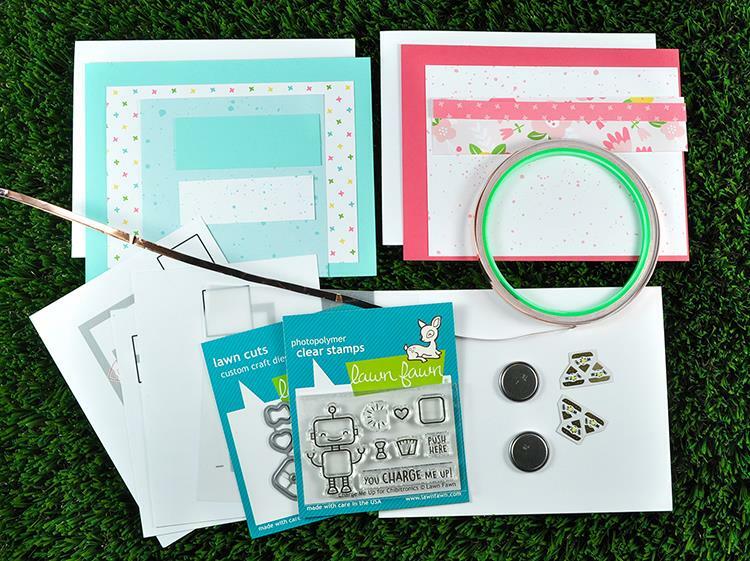 Today, we are celebrating Lawn Fawn and Chibitronics special collaboration kit. We are waiting for this kit for a long time. 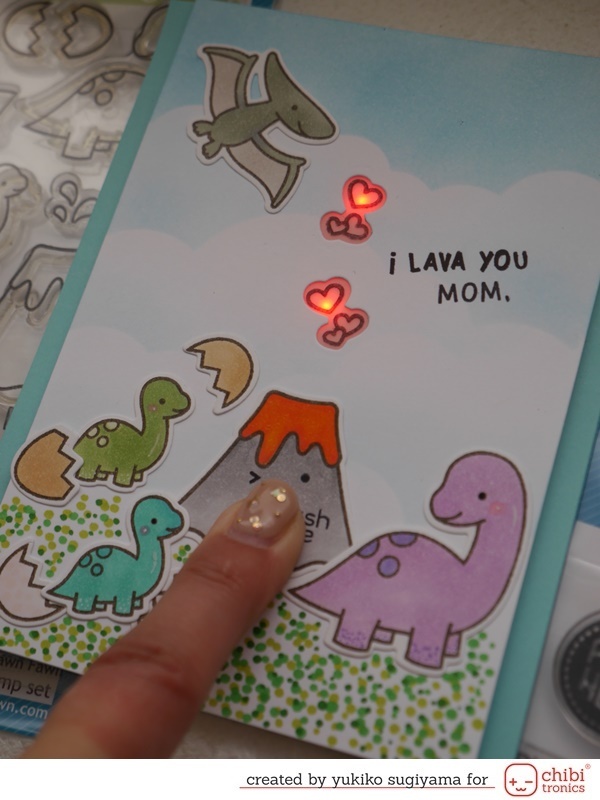 If you are new to Light-Up Card, then this will be a great starter kit! 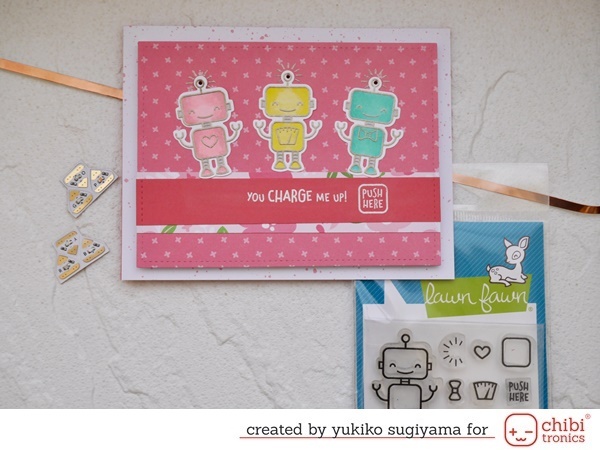 This kit has one cute robot stamp set and coordinating die, some card stocks, one copper tape, sticker LEDs and coin batteries. So when this kit arrives, you can easily make 2 cards. If you buy more coin batteries, you can make more! I will show you some card ideas using this kit. First card is Colorful Heartbeat Robot Trio Card. 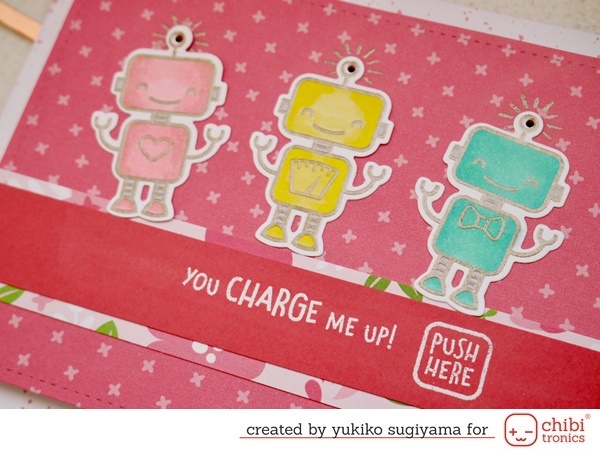 I used Robot stamps and dies, card stocks from the kit, and also used Effective Sticker from Chibitronics. 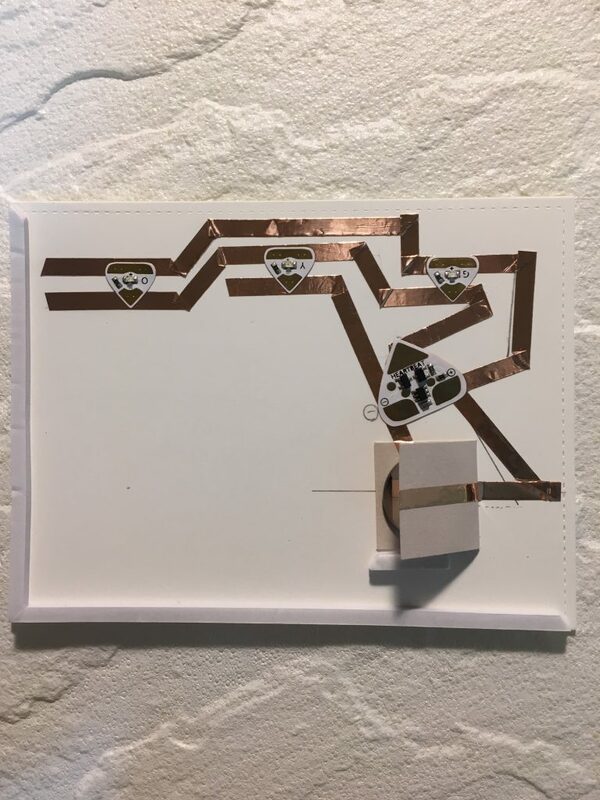 Here is the circuit of this card. 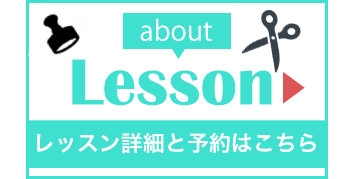 Effective sticker includes 4 stickers and each have different effect. This time I used “HEARTBEAT”. I used Orange, Yellow and Green LED sticker to match with the robot colors. 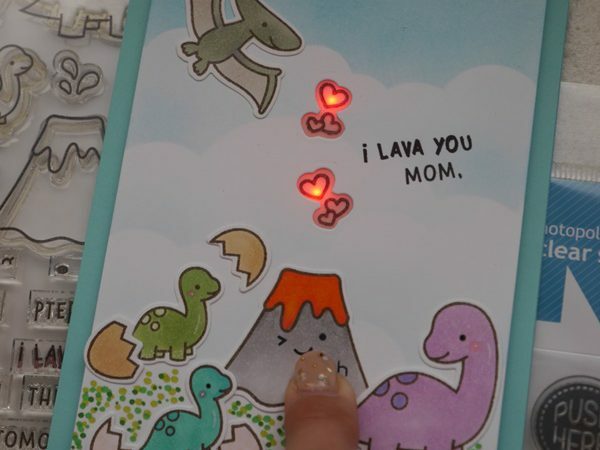 Next Card is Rawsome Mother’s Day Card! I used Rawsome stamps and dies and template from the kit. I made those heart light up. 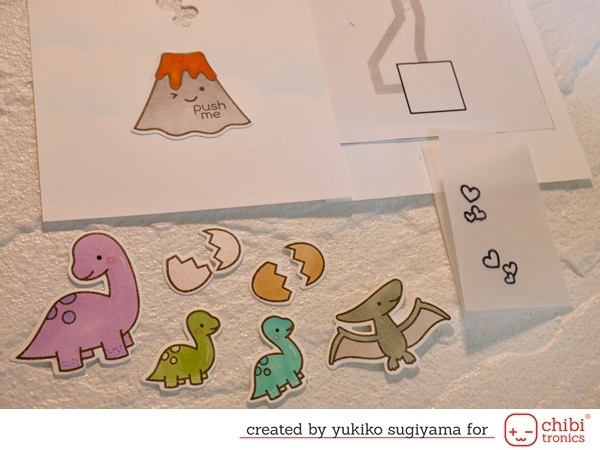 This template can be used many ways with stamps that you already have in your hands. 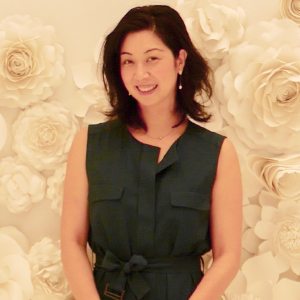 I hope you try lighting up your beautiful works with Chibitronics! You can buy these kit from Lawn Fawn HP and Chibitronics HP. Also please check out there blogs, you can find lots of samples! 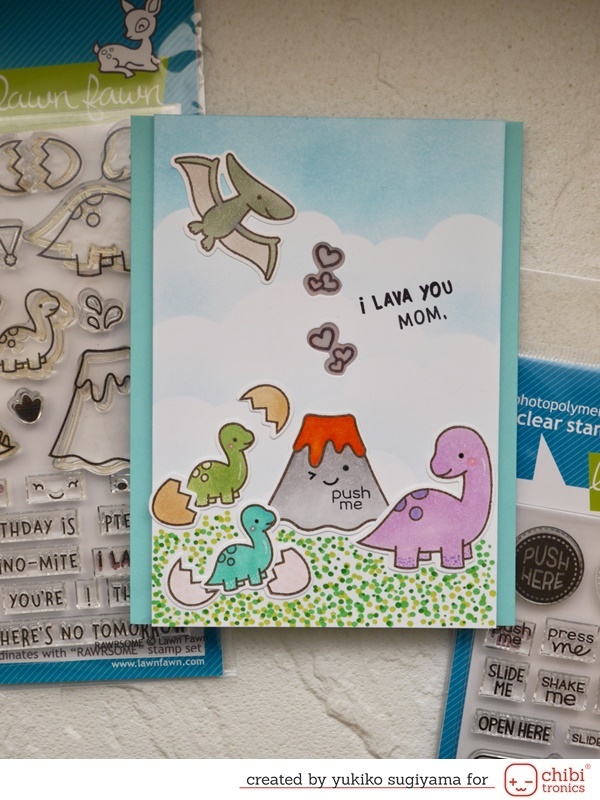 Adorable and sweet cards!!! Too cute!! !